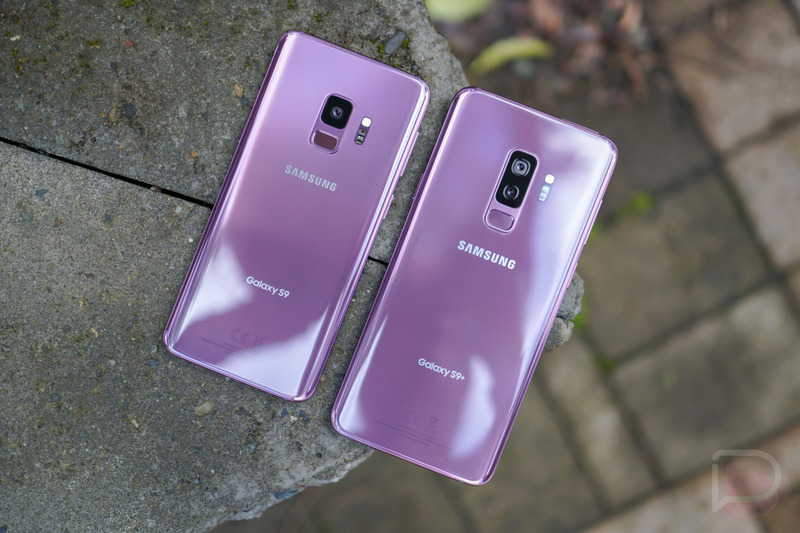 T-Mobile may be one of the last to do it, but as of tonight, they have started rolling out the Android 9 Pie update to the Samsung Galaxy S9 and Galaxy S9+. Not only that, but they are activating RCS Universal Profile 1.0 for each phone too. The updates arrive as build G960USQU3CSAB for the Galaxy S9 and G965USQU3CSAB for the Galaxy S9+. Each weighs in at around 1.9GB, so be sure you have plenty of open storage and battery life before trying to apply it. The Pie update for the S9 and S9+, for those not familiar, includes a big UI update from Samsung called One UI. It’s a pretty major upgrade over the previous Samsung Experience software, so I urge you to watch the video below to see what’s new. Things will look different, Samsung has moved items around, there is a system-wide dark mode now, and the app switcher is new. Again, it’s pretty cool too! What is RCS Universal Profile 1.0, you ask? It’s a messaging upgrade that will let you send and receive bigger media files, have bigger group chats, and know when someone is talking (more info here). It works between supported carriers when phones are also supported and is thought to be the future of text messaging. Other T-Mobile phones to receive RCS support are the Galaxy S7, S7 Edge, all Galaxy S8 variants, Galaxy Note 8, and Galaxy Note 9. UPDATE 2/11 10:37AM: T-Mobile added to the changelogs, now saying that the updates include Band 28 roaming support too. UPDATE 2/11 4:20PM: T-Mobile has now placed the update on hold! The changelogs now say that they’ll resume the updates at a later time. UPDATE 2/13 8:00AM: The update has begun rolling out. Go check for it! To check for the Android Pie update on your T-Mobile Galaxy S9, head into Settings>Software update. As a reminder, Sprint, AT&T, and Verizon have all pushed the Pie and One UI update to their S9 units.